Welcome to the forum, Moses ! 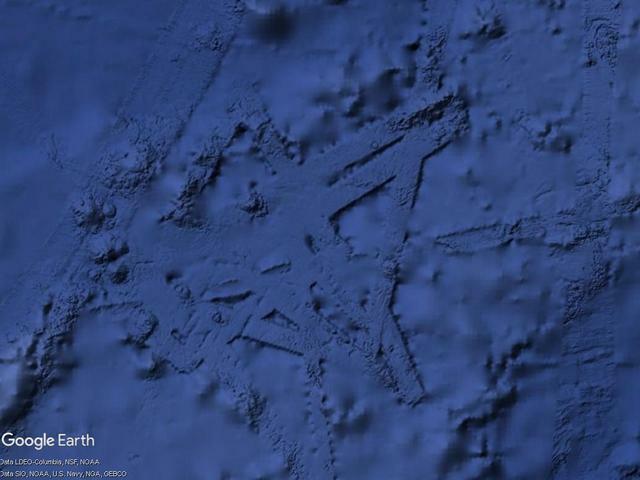 These are the traces of sonar ships, not real objects. You can find detailed information about this thread. I just have to say that i don't see how sonar ships or echosounder vessels would leave a trail, as they wouldn't drag on the floor and sonar wouldn't physically leave a mark as its signals bounced off the sea bed are to map the underwater world...unless you mean a google car driving around under water lol. My advice: read something about sonar measurements, that brings knowledge. Not in general. The mainland is depicted very accurately. But the seabed should be viewed with great care. It is not a real picture but a computer simulation based only on height measurements. For "underwater researchers" actually completely unsuitable. I watched Time Team Special about Doggerland on YouTube, and in that episode some archeologist said that they knew more about the surface of Mars than what's lying on bottom of the sea.